dangerous "Oboe" marking mission over the Industrial Ruhr, Germany 1944. Oboe was a ground controlled blind bombing system. 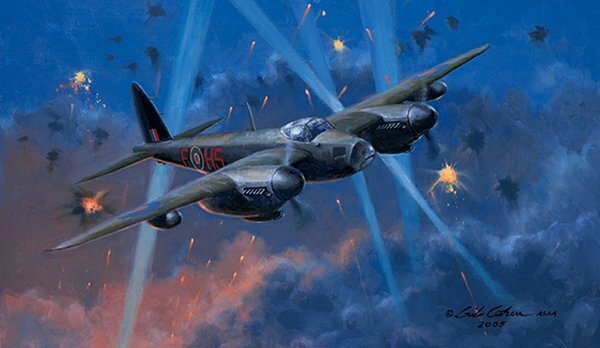 109 squadron was formed for this very secretive new device which lead to pin point accuracy marking for the main bomber force and spearheaded some of the most critical missions of the war in Europe.